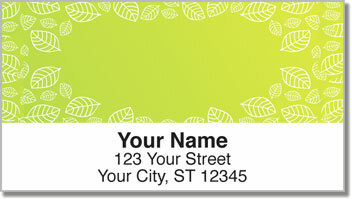 A pattern of lush leaves surrounds these unique address labels, which come in four attractive colors. Use them to add vibrancy and life to those plain white envelopes and boring brown packages. 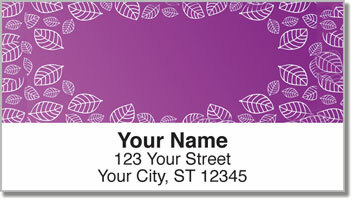 Leaf Border Address Labels are also a helpful time saving tool! You'll eliminate the need to write out your return address by hand on everything you put in the mail. The self-adhesive backing means no more licking - just peel and stick! 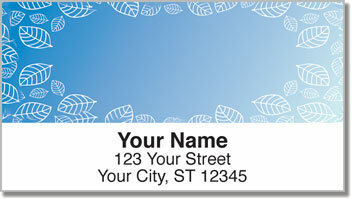 This eye-catching design is just one of hundreds of original return address labels available online from CheckAdvantage. 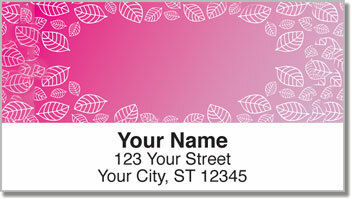 Order your own Leaf Border Address Labels now! You can also get this classic design as a set or matching personal checks!